The Teacher Training is a gradual process of self-awareness in the light of age-old teachings, a methodical Self progression that expands and molds the personality to be consistent with one’s own identity. It is an educational and experiential journey on which we explore all the factors that allow us to increase the capacity and perseverance of our caliber as human beings and how to cope with life with diligence and vision. At the same time, it deals with the vitality, intellectual efficiency and soul frequency. The body’s energy, the projection of the mind and the soul’s reality are, in fact, the three factors that give us a sense of inner freedom that leads to success i.e. Self-realization. For this reason, at the end of the course, you may be able to inspire, educate and elevate other people to cover the same distance. 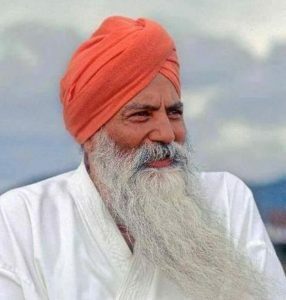 Course Objectives: To study and honor what the Master, Yogi Bhajan, taught. To understand the nature, technology and concepts of Kundalini Yoga. To develop the skills, knowledge and awareness required to teach this discipline. 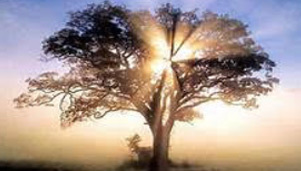 To awaken one’s own awareness and lay the foundation for spiritual growth. To strengthen and consolidate one’s own practice and projection as a yogi. To experience the group by creating links with the other participants, teachers and with the 3HO community around the world. The Roots of Kundalini Yoga. What is Yoga.Its Roots, history and evolution. Kundalini Yoga: The Science of Reality and its applied technology. 8000 techniques to regulate our dysfunctions, imbalances and defenses giving space to the original structure that represents who we really are. Posture, alignment and Kriya. The study of Kundalini Yoga technology.The Kriya, a specific sequence of postures and movements associated with particular breathing exercises. The Kriya as a diagnostic tool. How the action of a Kriya removes the blocks and resistances that do not let us overcome our limitations. The Asana in Kundalini Yoga. The strength and flexibility in the body and in the psyche. Use the postures for intention and projection. How a posture connects us to the relationships we have with others and with life’s circumstances. Angles and triangles, the body’s subtle ways of interconnectedness. Conscious breathing: Pranayama. Induce specific mental, physical and behavioral states.Various types of yogic breathing and their effects. Pranayama as a postural realignment tool. The practice of Pranayama to strengthen the nervous system. Increase the flow of vital energy and stamina in psycho-physical stress and as an antidote to stress. Sound and Mantra Reflexology points with the tongue on the upper palate.The science of sound. Why vibration works. The variety of sounds and mantras. How the sound current in specific frequencies can stabilize the mind, modify the contents of the subconscious structures and activate new functional skills to achieve our goals. Yogic AnatomyThe five elements. The flow of prana and the nadis. The chakras as energy centers in our body. The awakening of our vital energy through the chakras. The ten bodies (the physical body, three mental bodies and six energy bodies). How our value is determined by balancing the 10 bodies. Understand yogic anatomy in order to appreciate and fully exploit one’s own potential. How to access the body’s energy reserves. The Mind. The basic characteristics of the mind.The functional and impersonal minds. The intellectual cycle. The structure of thought. How the mind can work in favor of our essence, identity and purpose. How to consciously direct the process of producing thoughts and feelings to create effective patterns of success. Meditation.The process of meditation. The benefits of meditation. Different types of meditation. Deep relaxation. Meditation as subconscious cleansing. Meditation as a tool to prepare the mind to see how something, that previously was believed impossible, is possible. As a tool to intuit the consequences of our own intentions, words and actions. Humanology The applied psychology of human beings.Lifestyle guidelines for the entire spectrum of human capabilities and energies. Life-cycles. Relationships, family, work, life, death, birth, prosperity, leadership and success. Explore reaching success and being open to the flow of prosperity. The Teacher’s Role. The teacher’s identity.What having a spiritual guide means. Raise awareness about who we are. Being pioneers in this new Age. Increasing our awareness is what we need. Evolution goes through the process of becoming our own leader. A teacher can be an example for us. Philosophy.In the east, philosophy is equal to the experience, so yogic philosophy tells us of the personal experiments, done by researchers in order to perceive reality, and of their efforts to leave techniques and mechanisms for future generations so they can achieve the same skills. Sadhana.This is a daily practice, the medium that facilitates inner change allowing us to become more aware of what we have understood intellectually. It represents the transition from being a yogic philosopher to being a yogi. The training and rational approach, the courses and seminars can, in fact, inform, inspire and evoke an experience, but only practice can really lead to substantial and permanent change. In Sadhana we discipline ourselves so the body and mind can serve our soul to express the infinite in a finite situation. Yogic Lifestyle.A good lifestyle allows us to access the resources stored in our body and mind. The body is the instrument through which we receive our experiences. If we treat it with care and respect, we will be much more able to experience and manage our lives effectively.